Mushrooms grow in a humid environment. It is important to recreate the ideal conditions for the mushrooms to grow. Here you’ll find the products needed to stimulate and maintain the high humidity level. 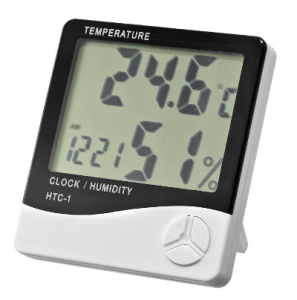 Meet de luchtvochtigheid en de temperatuur deze hygrometer en thermometer! Meet de luchtvochtigheid van 20% tot 99% RH. Met de alarmfuntie kan je zelfs je lucht en water momenten inplannen. The bag can be used to keep your mushroom cake (substrate) humid and safe from contamination. First the bag needs to be sterilized in an autoclave or pressure cooker. The mushroom cake can then be put inside the bag and be closed with paperclips, scotch tape or clothespins. 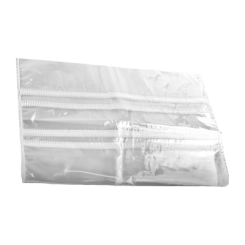 The micron filter on the bag will let air run through, but not micro-organisms. 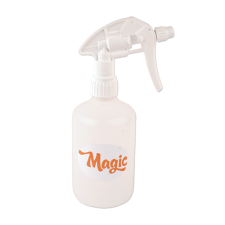 Water spray voor het bevochtigen van oppervlaktes.